Pittsburgh is expected to experience single-digit temperatures over the next few days and sub-zero windchills. Dr. Jim Withers, founder and medical director of Pittsburgh Mercy’s Operation Safety Net, and the group's street outreach director, Dan Palka, say they spend all year building trust with at-risk communities to ensure they'll feel comfortable asking for help during the winter months. According to Withers, many suffering from homelessness also suffer from mental illness and associated trauma that can hinder those relationships. Find more information about Operation Safety Net and a list of shelters here. 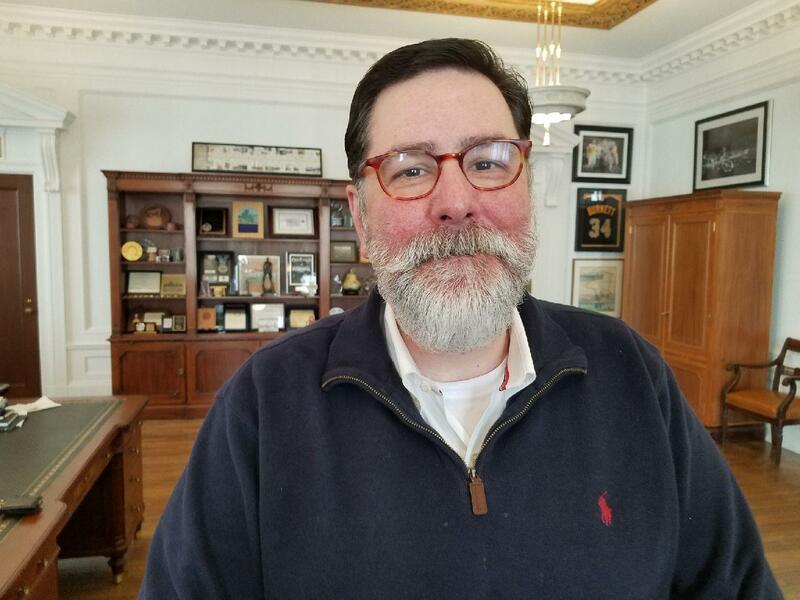 Mayor Bill Peduto tells The Confluence that he expects legal challenges to legislation that would restrict certain firearms and ammunition in the city. Elsewhere in the program, Pittsburgh Mayor Bill Peduto is not backing down on legislative efforts to restrict some high-powered guns in the city, despite assertions of illegality, threatened lawsuits and a call for his impeachment. The proposed restrictions constitute "common sense legislation," Peduto says, that could help lay the groundwork for more comprehensive gun reform in the future. Under current state law, the proposed ordinance cannot be enforced. Peduto says he hopes to change this through challenges in the court system. And in 1893, Bertha Lamme became the country’s first female mechanical engineer. 90.5 WESA's Katie Blackley reports on how Lamme went on to work for Westinghouse Electric. Since the summer of 2017, Pittsburghers stuck in traffic at the intersection of Bigelow Boulevard and Herron Avenue could be greeted by a billboard with the same smiling face, positive message and personal phone number. Its message belonged to poet Rachel Ann Bovier. New voting security recommendations for Pennsylvania counties were released on Tuesday. The Blue Ribbon Commission on Pennsylvania’s Election Security, the bipartisan commission that authored the report, examined problems with the current voting machines being used, voter rolls, and how to detect and recover from attacks in the future. Pennsylvania health officials have confirmed the first child flu-related death of this year's flu season.